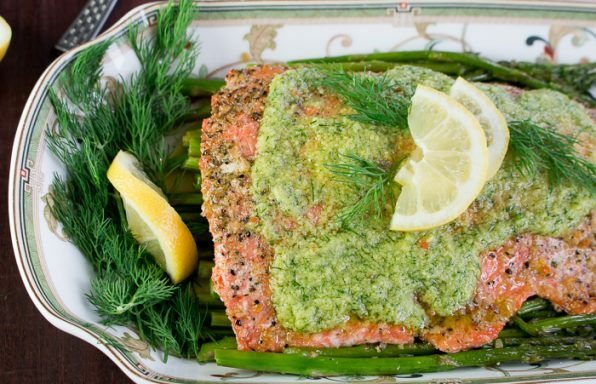 Life is so busy…so we are all about less than 30 minute dinners. How about you? 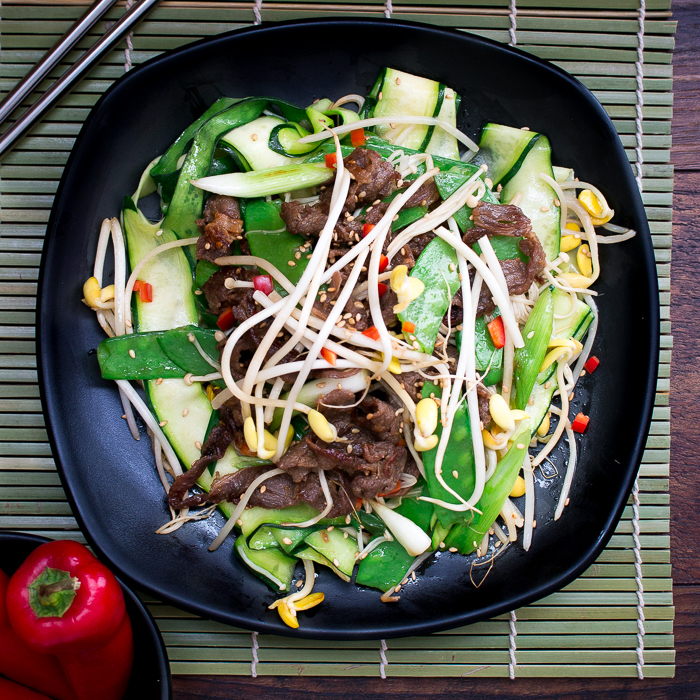 Low Carb Spicy Bulgogi Beef Stir Fry is one of the perfect dinners that take about 10 minutes of washing, chopping and preparing but less than 5 minutes’ to cook. You can stir fry if mother nature decides to pour buckets or grill in a grill pan on top of the BBQ grill. 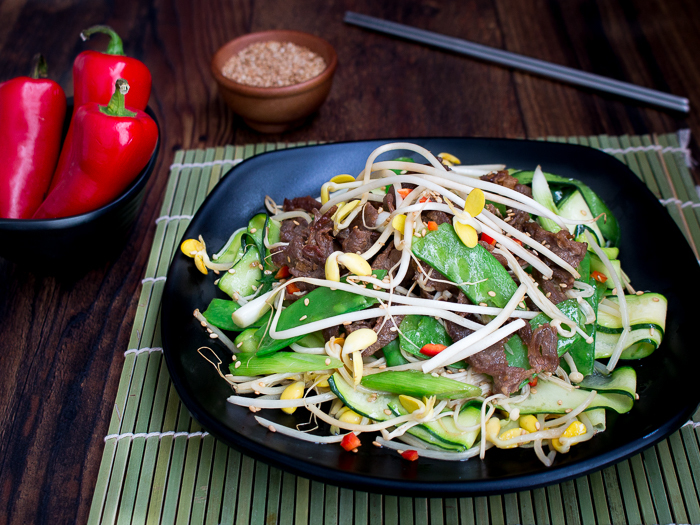 You are just going to love this Low Carb Spicy Bulgogi Beef Stir Fry as you can use any little vegetables you enjoy and then quick marinade makes the beef extra flavorful. We made ourselves a huge plate of this delicious goodness and ate without guilt as all very low carb, gluten-free, dairy-free, diabetic friendly and keto friendly. You gotta love that. Have you ever asked for super thinly sliced beef at the grocery store? The beef is so thin, it almost looks like it has been chipped. Your butcher can really get your beef super thin and that is perfect for this recipe. This step really saves you time in the preparation of this dish or you can slice your tender cut of beef super thin yourself. You can also use ground beef if you desire but we love the texture of the thin marinated beef. We do a super quick marinade of the beef while we prepare the vegetable but even better if you marinade overnight in the refrigerator. We marinade with tamari sauce, sesame oil, garlic, gochujang sauce (or you can use sriracha, or chili flakes), sesame seeds and a little grating of apple. Gochujang is brown rice red pepper paste. 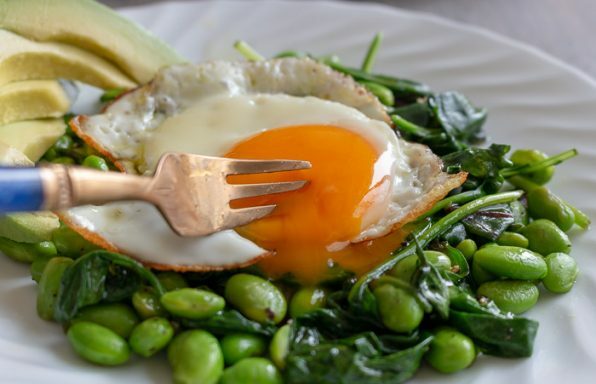 If you are not making this recipe keto friendly you can add a little dash of sweetener of choice. We prefer the natural seasonings for the marinade and grated Asian pear (nashi) and kiwi work well too in the marinade. We have had friends that have even used a little lemon lime soda (7 up/ Sprite) in the marinade but we are all about using fresh ingredients and no refined sugar. 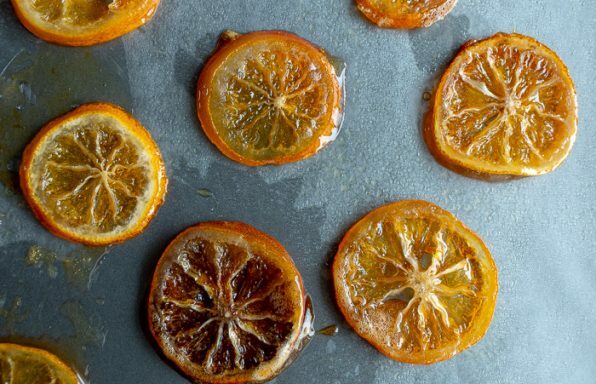 Fresh ingredients are what make this recipe shine. 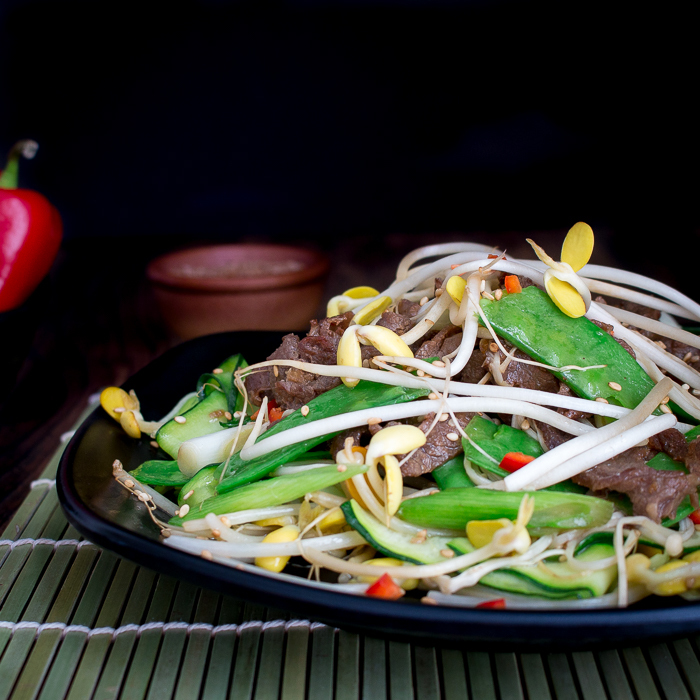 We used a layer of fresh snow peas and bean sprouts (sprouted mung beans) on the bottom and beef, scallions and enoki mushrooms together for a delightful bite. 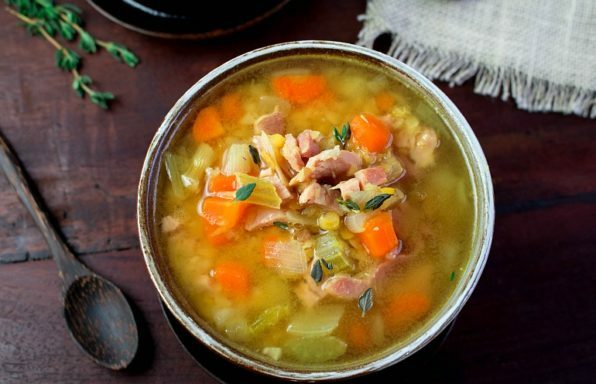 Feel free to use any quick cooking vegetables in this recipe that your little heart desires. 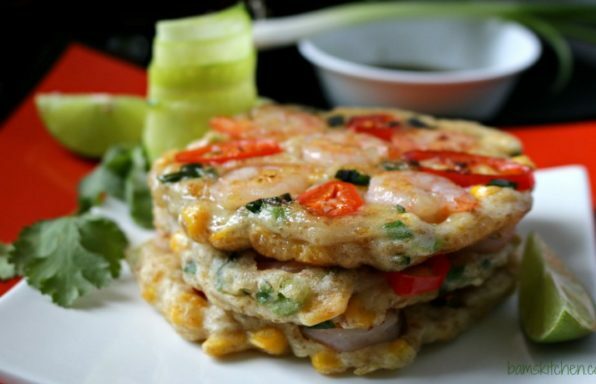 If you are not doing the low carb thing then this recipe is fantastic with a little cooked rice (pad Thai) noodles or Korean Sweet Potato Noodles tossed with a little tamari – soy sauce, garlic and chilis. 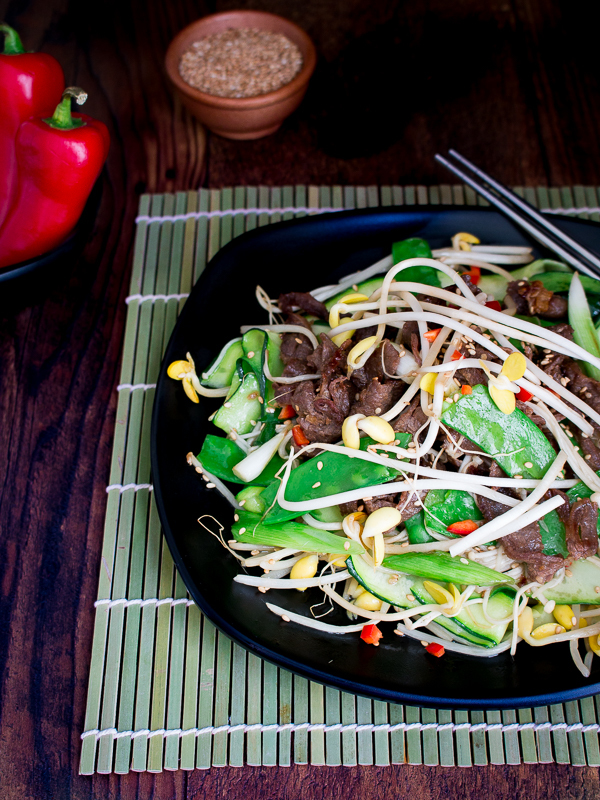 We just sat down and ate a huge bowl of this delicious Low Carb Spicy Bulgogi Beef Stir Fry . 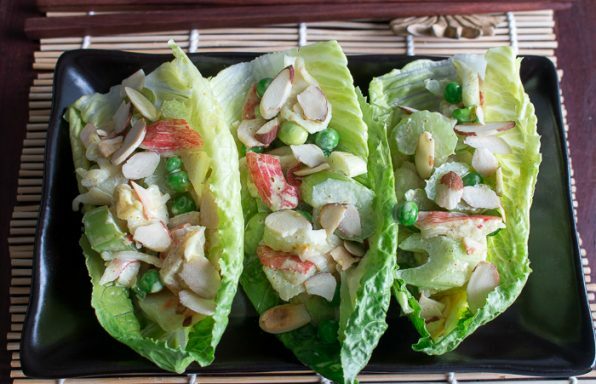 You can also prepare leaf lettuce and roll up this delicious stirfry with a little extra tamari and gochujang sauce to drizzle. 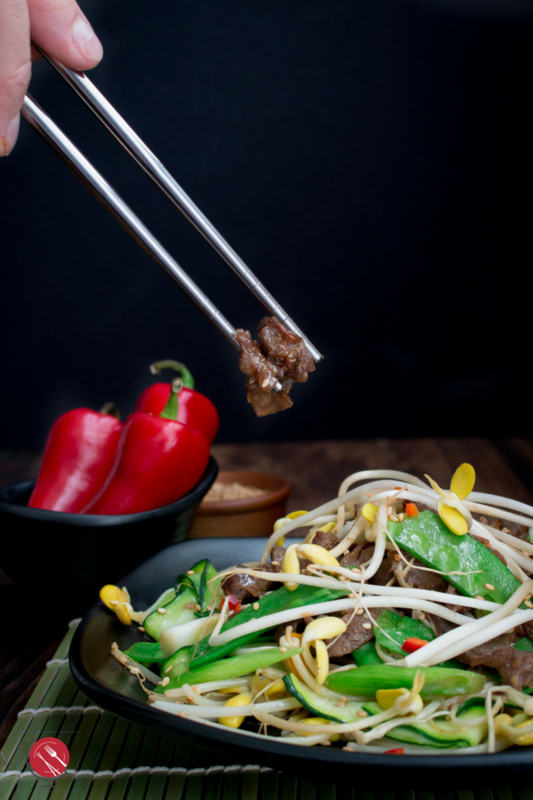 If you are looking for other Korean recipes be sure to try our Korean Beef BBQ Kalbi, Kimchi Salmon and Rainbow Pickles , Kimchi Pantry Fried Brown Rice or our other recipes. Gochujang sauce – 1 teaspoon or to desired heat level (can also use sriracha sauce or even red pepper or chili flakes. Zucchini zoodles – 4 small zucchini either use a spiralizer or if you are like us just use an old fashion peeler and peel on all four sides and stop before you get down to the seeds. 1Marinate the beef: In a bowl add beef, tamari (soy) sauce, minced garlic, grated ginger, grated onion, grated apple, gochujuang sauce, sesame oil, sesame seeds and only if wish a little sweetener of choice. Mix and set aside. If you do this the night before and marinate over night in the refrigerator is even better. However, if you are low on time just marinate while you are preparing the other vegetables. 2In a wok or frying pan add your oil and add your zucchini zoodles and bean sprouts and season with salt and white pepper to taste and cook for about 1 minute until they just start to wilt. Remove from wok. Set aside and keep warm. 3Drain any extra marinade from your marinated beef. Add a little extra oil in your pan and fry your marinated beef until golden toasty brown. Add in the snow peas, enoki mushrooms and scallions and season to taste and stir fry until snow peas are bright green. 4In a bowl or plate layer a of the stir-fried zucchini and beans spout mixture. 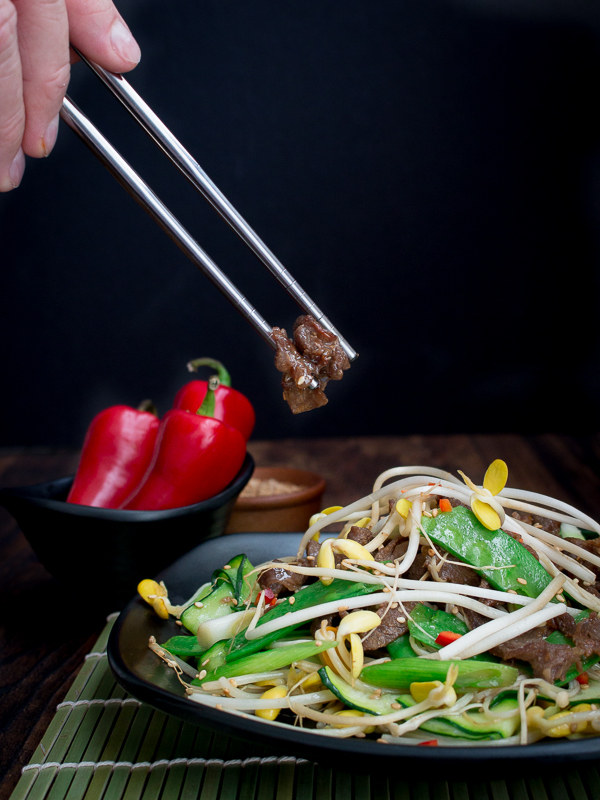 Top with the bulgogi beef, snow pea, mushroom and scallion mixture. 5Garnish with fresh chopped chili peppers and fresh beans sprouts if desired.